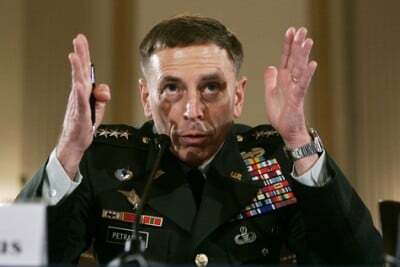 Former CIA boss and 4-star general David Petraeus – who still (believe it or not) holds a lot of sway in Washington – suggests we should arm Al Qaeda to fight ISIS. As we’ve previously shown, other mainstream American figures support arming Al Qaeda … and ISIS. The instability in the Middle East following the Arab revolutions and the meteoric rise of the Islamic State of Iraq and al-Sham (ISIS) require that Washington rethink its policy toward al Qaeda, particularly its targeting of Zawahiri. Destabilizing al Qaeda at this time may in fact work against U.S. efforts to defeat ISIS. Many mainstream players are suggesting that Al Nusra – the main Al Qaeda group in Syria – “re-brand”, so that it can pretend it is moderate … and so receive direct U.S. backing. See this, this, this, this, thisand this. Not to be outdone, influential New York Times columnist Thomas Friedman asks if we should arm ISIS to counter Iranian influence. The U.S. actually did knowingly support Al Qaeda in Libya. And also in Syria. Truly, America’s foreign policy is insane.